It's Natural & it's Non Nano! With Kakadu plum extract, Japanese Green Tea & Carrot seed oil. 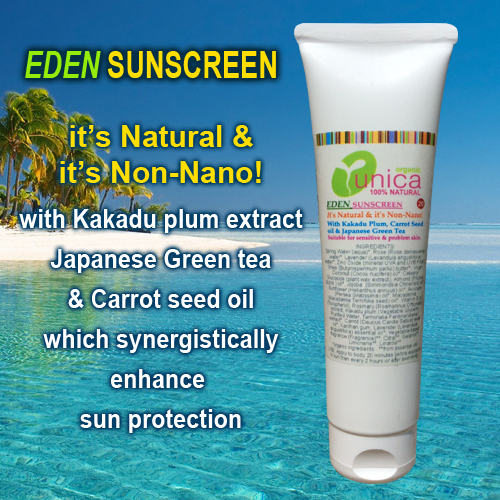 EDEN - Organic & 100% Natural Sunscreen with Kakadu plum extract, Japanese green tea and Carrot Seed oil which synergistically enhance sun protection. We have recently perfected our formula to improve feel and spreadability. We hope you will like the new Eden even better! Our Eden organic sunscreens provide "Broad spectrum" protection, meaning that they offer protection from both UVB & UVA rays, without using questionable chemicals. Eden contain three awesome natural ingredients which synergistically enhance sun protection: Kakadu plum extract with an impressive content of Vitamin C, and extraordinary antioxidant and anti-inflammatory properties; Japanese Green Tea, another powerful antioxidant known for its anti-irritant properties and for preventing redness, rough skin and peeling caused by sun drenched skin; Carrot seed oil, antioxidant, antiseptic, antiviral and with a massive natural SPF of around 35. (SPF 4-10). Naturally scented with Lavender essential oil. SKIN TYPES: All skin types. Suitable for use on very sensitive and eczema prone skin and for children over 3 years old. USE: Apply before sun exposure. Re-apply frequently during exposure and after swimming. INGREDIENTS: Spring Water (aqua)*; Lavender (Lavandula angustifolia) water*; Shea (Butyrospermum parkii) butter*; Virgin Coconut (Cocos nucifera) oil*; Plant wax extract (Cetearyl Olivate, Sorbitan Olivate); Almond (Prunus dulcis ) oil*, Jojoba (Simmondsia Chinensis) oil*; Sunflower (Helianthus annuus) oil*; Avocado (Persea Gratissima) oil*; Macadamia (Macadamia Ternifolia seed) oil*; Vitamin E oil (Tocopherol); Rosmary (Rosmarinus Officinalis) extract; Kakadu plum (Vegetable Glycerin, Purified Water, Terminalia Ferdinandiana) extract*; Green Tea (Camellia sinensis)*; Carrot (Daucus Carota Sativa) seed oil*; Xanthan gum; Lavender (Lavandula angustifolia) essential oil*; Vegetable-based fragrance (Fragrance)**, Citral**, Geraniol**, Limonene**, Linalool**. Kakadu plum is a bright green fruit, native to Australia's Northern Territories where it grows wild in a harsh, arid environment. For millennia, this small fruit has been used by indigenous Aboriginal people of Australia for medicinal and dietary purposes. Today, it's still used in Aboriginal communities, but it's also finding its way into mainstream skin care thanks to its high levels of vitamins, antioxidants and nutrients. So what's so amazing about this fruit? 1.It's packed with vitamin C. Kakadu plums have evolved to produce the highest natural levels of vitamin C in the world, 3150 milligrams per 100 grams of fruit. To compare, oranges only contain 50 milligrams per 100 grams of fruit. That means kakadu plums have over 60 times the concentration found in oranges! Vitamin C is an antioxidant that protects your skin against free radicals caused by the sun. Your skin also uses vitamin C to produce collagen which promotes the growth of healthy new tissue. In turn, this may reduce the appearance of scars, cuts, sun spots, fine lines and wrinkles. In fact, when applied along with vitamin E, vitamin C has been shown to prevent sun damage in the first place. 2. It's nature's bacteria fighter.The kakadu plum contains gallic acid, an antioxidant with powerful antibacterial and antimicrobial propertie. 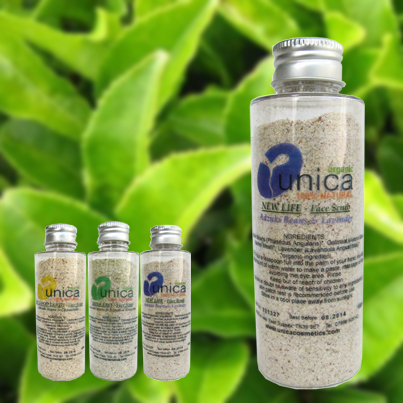 gallic acid works to naturally kill bacteria, fungus and viral cells, which is great news if you suffer from acne. 3. It'll keep you wrinkle-free. 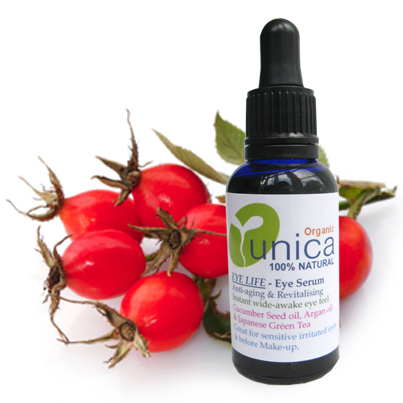 Another component of the kakadu plum is ellagic adic, something recent studies have shown can reduce inflammation when applied to sun damaged skin. It also inhibits an enzyme that can cause the breakdown of collagen. Combined, these effects help to improve the elasticity of your skin, targeting the appearance of fine lines and wrinkles. An added bonus of ellagic acid? 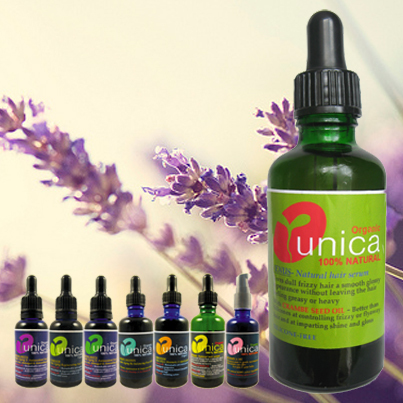 Preliminary studies have shown it has strong anti-cancer and antioxidant properties.